Product code: ES6101 Categories: Sold Items, Sold Rings. 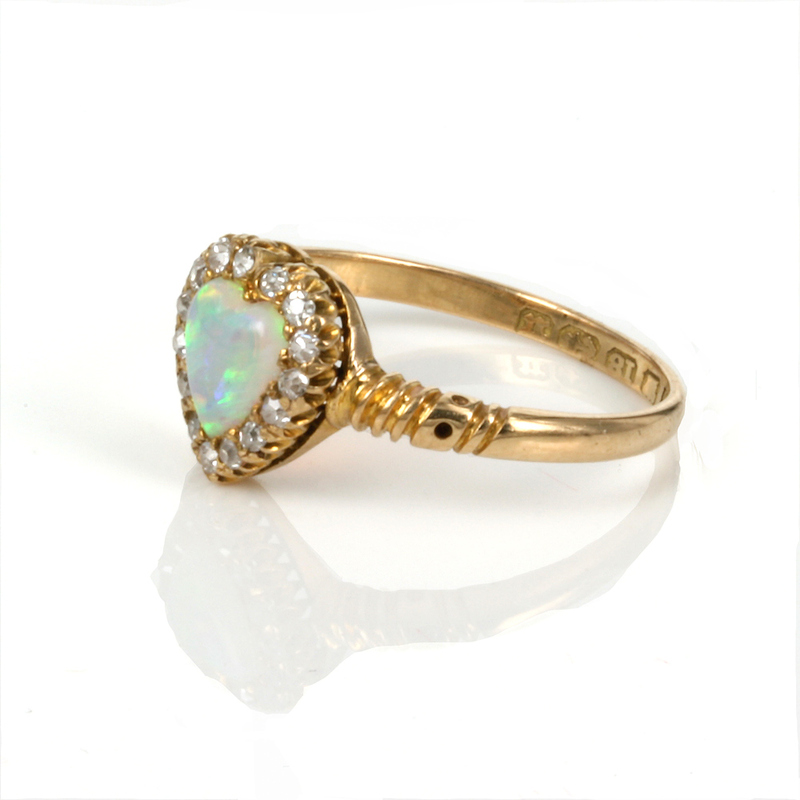 Here is an antique opal and diamond ring that has so much charm and romance attached to it and absolutely stunning on the finger. 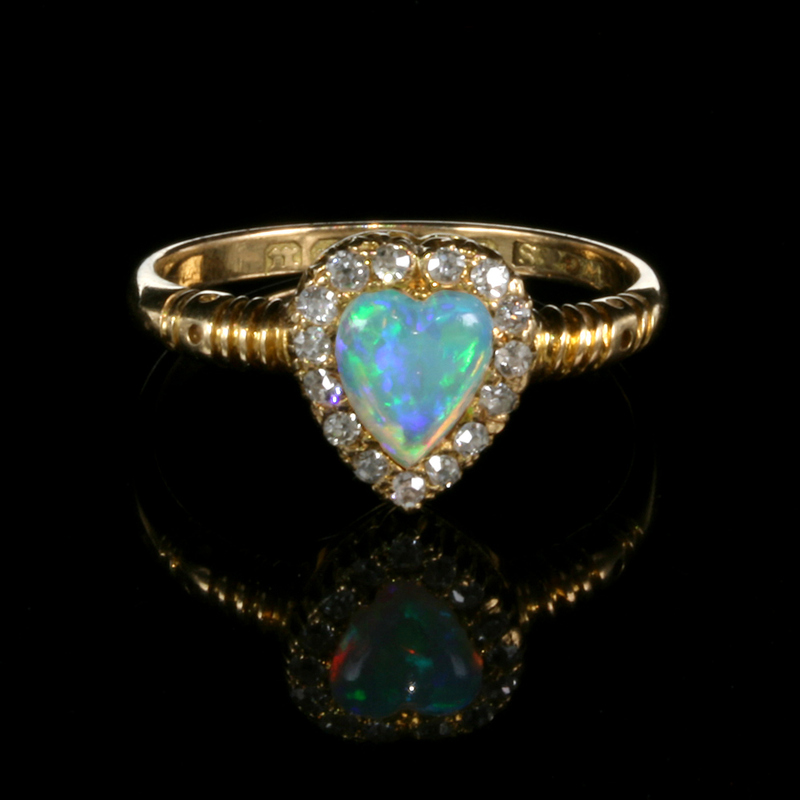 Hand made in 18ct yellow gold in Chester in 1894, this late Victorian era ring is set with the most wonderful solid opal carved into a heart design. The heart itself measures 10.7mm across by 9.7mm and is set with fifteen European cut diamonds that total 0.30 carats in weight. However it really is the opal that is the star of this ring. It is a lovely Australian solid opal that has such a magnificent fire to it and of course cut into the heart shape makes it even more special and romantic. This opal looks amazing on the finger and is highlighted even more by the diamonds and then the fancy band. With wonderful clear hallmarks for 1894, this truly is a spectacular antique opal and diamond ring from the Victorian era that will always be loved, cherished and admired.